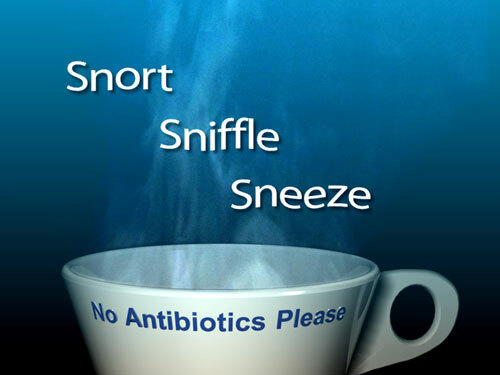 Sinus infections are the fifth most common reason antibiotics are prescribed for adults. Unfortunately, they are of no help for most sinus infections – this according to a new study published in the Journal of the American Medical Association (JAMA). Not only are we facilitating the growth of drug resistant bacteria by over prescribing these antibiotics – the research shows it doesn’t even provide symptom relief. Even more disturbing, the numbers show that fewer than two percent of sinus infections are bacterial. Which means the overwhelming majority of sinus infections are viral – of which antibiotics are no help. The study used a total of 166 adults diagnosed with acute rhinosinusitis, who were randomized to either amoxicillin or placebo treatment group. Among patients with acute rhinosinusitis, a 10-day course of amoxicillin compared with placebo did not reduce symptoms at day 3 or day 10 of treatment. Now that we know antibiotics will not help – let’s discuss what will. First, it’s important to know what actually happens to our body when we have a sinus infection. Acute sinusitis is an inflammation of the mucous membranes in the nose, sinuses and throat, which can lead to blocked sinuses and potential infection. Therefore, keeping your nasal membranes moist is a great way to avoid and reduce sinus symptoms. Using warm water and salt you can create your own saline solution to stream through your nose. This can keep your nasal passages from drying out and clear excess mucus before it has a chance to cause congestion which can lead to infection. Staying hydrated by drinking plenty of purified water is another great way to keep mucus from building up – because water keeps mucus thin, loose and easy to dissipate. Inhaling steam also can help to reduce congestion and other symptoms. You can do this several ways: by spending a little extra time in a hot shower or steam room; or by boiling water in a pan and then inhaling the steam. As far as natural therapies for sinus problems, there is plenty of good news. Acupuncture has been shown to help improve nasal congestion, Homeopathic treatment can have positive effects on symptoms and Chiropractic can decrease pain and improve sinus drainage. In addition, several studies suggest that bromelain, an enzyme derived from pineapples, may help reduce inflammation and swelling and relieve symptoms of sinusitis. So the next time your sinuses give you a problem, instead of creating super bugs, destroying your stomach and trashing your immune system – why not choose a natural approach (that actually works). Tagged antibiotics, sinuses. Bookmark the permalink.